Learn English with Real News Stories! Do you have intermediate level English reading skills? Do you feel you need to improve and practice English vocabulary? 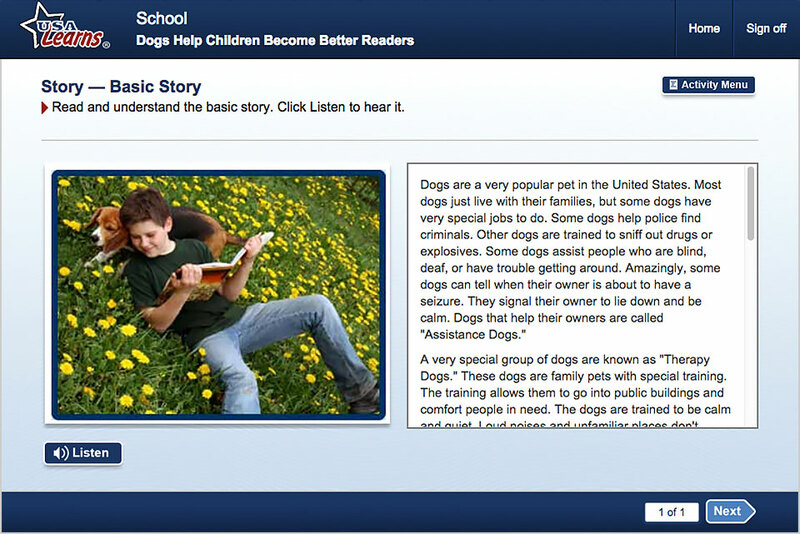 Would you like to practice English listening skills at the same time as reading a good story? If yes, the stories in the Practice English and Reading course are a good way for you to practice English listening, vocabulary, and reading skills. Each story contains a reading, vocabulary practice, comprehension questions, and a writing activity. You can complete the activities in any order that you want, depending on your interests and learning goals. On the story page, you’ll find the text and a Listen button. When you click the Listen button you can read along with the text while you listen to a native speaker read the story. Listen and read several times to connect the sounds of language with the spelling of the words. By doing this you can also improve and practice English pronunciation and listening skills. 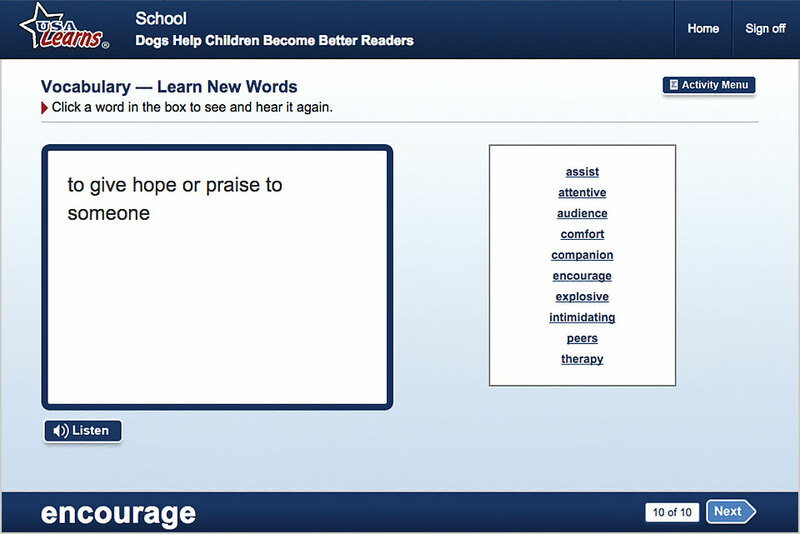 In the Learn New Words activity, you will practice 10 words from the reading. You’ll see the definition of the word as it is used in the context of the reading. You can also listen to the word as often as you like. Of course the goal of any reading activity is comprehension of what you have read. When you feel you are ready, do the comprehension activities to test your understanding of the important details and the main ideas of the reading. Reading improves writing and writing improves reading. The best way to show you have understood the reading is to write about the topic. 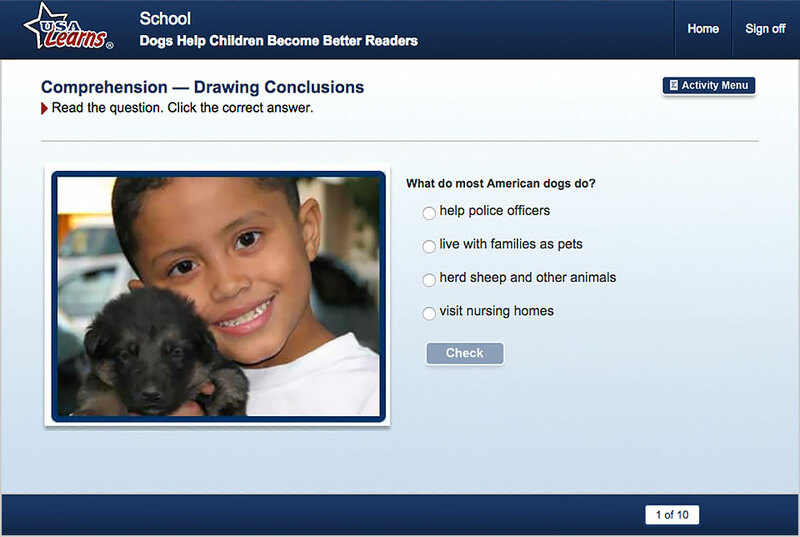 Every story has a writing question for you to practice English writing skills. You have read the story and hopefully you got some new ideas from the story and new vocabulary words. Now you can practice English in a different way by using the new vocabulary to put your ideas in writing. If you are a teacher or tutor, you will be able to see and comment on your students’ writing from your own computer. In the Practice English and Reading course you can continue to practice English vocabulary, reading, writing, listening, and even speaking! REGISTER NOW to practice English online today!